The Labor Department’s Employee Benefits Security Administration (EBSA) is committed to safeguarding employee contributions to 401(k) plans and health care plans by investigating situations in which employers improperly delay forwarding employee contributions to the appropriate funding vehicle or simply convert the contributions to other non-plan uses. This document shows the reasoning behind the massive buildup in EBSA enforcement activity including the hiring of 1,000 new investigators in 2013 and further that, contrary to popular opinion, it’s not just the large employer plans that are being impacted. Download Document. Through its enforcement of the Employee Retirement Income Security Act (ERISA), the Employee Benefits Security Administration (EBSA) is responsible for ensuring the integrity of the private employee benefit plan system in the United States. EBSA’s oversight authority extends to nearly 681,000 retirement plans, approximately 2.3 million health plans, and a similar number of other welfare benefit plans, such as those providing life or disability insurance. These plans cover about 143 million workers and their dependents and include assets of over $ 8.7 trillion (as of October 2, 2015). Download Document. The Employee Benefits Security Administration published this manual solely for the internal administrative use of its employees. This manual does not restrict or limit in any way the Employee Benefits Security Administration’s discretion in carrying out responsibilities imposed on the Secretary of Labor by the Employee Retirement Income Security Act. Nothing in this manual is intended to be an interpretation of law or regulation or to serve as guidance for persons outside the Department of Labor. Nor does this manual confer on any person, including one who is the subject of an Employee Benefits Security Administration investigation or enforcement action, a right to rely on any policy or procedure stated herein, or otherwise create any other substantive or procedural rights. Download Document. This document details what information the EBSA typically requests to be provided to their local office upon the opening of an investigation of an Employer Sponsored Retirement Plan. Not too many Plan Sponsors are prepared to produce this information within 15 working days after receiving the EBSA’s notification of investigation letter via Certified Mail. Download Document. Start saving between 10 to 30%. Just click on one of the links below to get a FREE quote or you can apply online now for immediate online issuance of your ERISA fidelity bond. What coverage amount is required? ERISA § 412 and related regulations (29 C.F.R. § 2550.412-1 and 29 C.F.R. Part 2580), generally require that every fiduciary of an employee benefit plan and every person who handles funds or other property of such a plan shall be bonded. A retirement plan official must be bonded for at least 10% of the amount of funds he or she handles. In most instances, the maximum bond amount that can be required under ERISA with respect to any one plan official is $500,000 per plan or $1,000,000 for plans that hold employer securities. However, higher limits can be purchased. Arrange for an annual full-scope plan audit, where the CPA physically confirms the existence of the assets at both the start and the end of the Plan year. ERISA’s bonding requirements are intended to protect employee benefit plans from risk of loss due to fraud or dishonesty on the part of persons who “handle” plan funds or other property. Do ERISA bonding requirements apply to all employee benefit plans? Employee benefit plans that are completely unfunded or that are not subject to Title I of ERISA. Plan fiduciaries that are bank or insurance companies subject to state or federal supervision or examination, and that meet certain capitalization requirements. Broker/Dealers registered under Section 15(b) of the Securities Exchange Act of 1934 that are subject to the fidelity bonding requirements of a self-regulatory organization under that Act. Is an ERISA Fidelity Bond the same thing as Fiduciary Liability Insurance? No. The fidelity bond required under section 412 of ERISA specifically insures a plan against losses due to fraud or dishonesty (e.g., theft) on the part of persons (including, but not limited to, plan fiduciaries) who handle plan funds or other plan property. 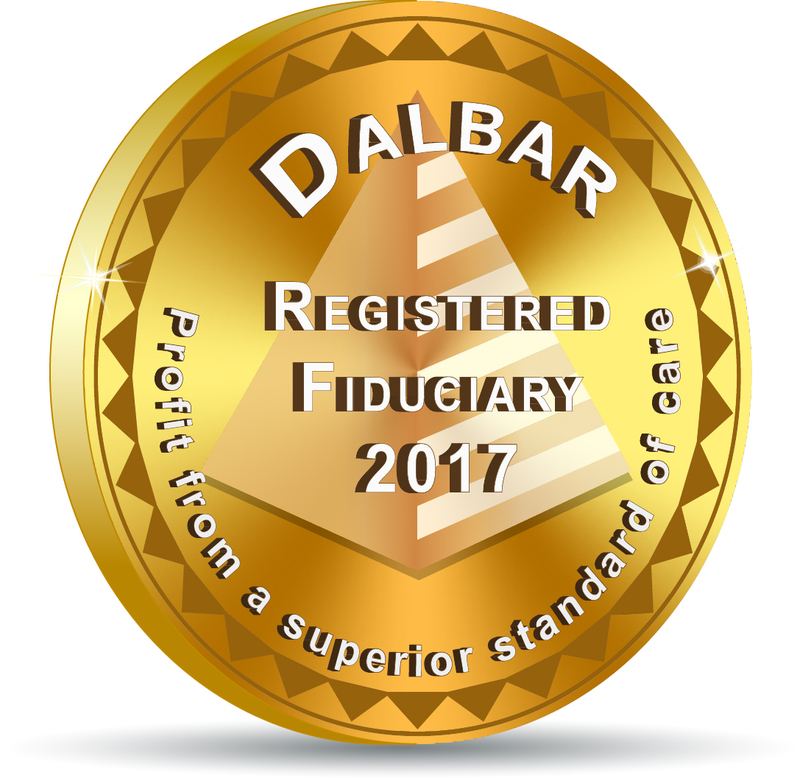 Fiduciary liability insurance, on the other hand, generally insures the plan against losses caused by breaches of fiduciary responsibilities. Should you also be considering the purchase of Fiduciary Liability Insurance? As a plan sponsor of an employee benefit plan, you are acting as a fiduciary. Your personal assets are at risk over the decisions you make on behalf of the plan. Fiduciary Liability Insurance will help protect your assets and cover fines, defense costs, and penalties, if you’re ever sued over an employee benefit plan. The assets in your plan pay for this coverage, Learn More. For more information on ERISA Fidelity Bonds or why you might want to purchase Fiduciary Liability Insurance to cover your personal liability, please Contact Us. TFRG’s May 2017 Client Alert discusses how the majority of retirement plan advisors use a fee benchmarking report to justify the “reasonableness” of their investment advisory fees that they charge to your retirement plan… but using these reports might cause problems for Plan Fiduciaries. Download Document. IS YOUR RETIREMENT ADVISOR OVERCHARGING YOUR PLAN? TFRG’s April 2017 Client Alert discusses the New Fiduciary Rule and its future impact on how the Plan Sponsor’s evolving understanding of “reasonable” compensation might change how the Retirement Plan Advisor is compensated. Download Document. The SEC’s Office of Investor Education and Advocacy issued this bulletin in 2014 to educate investors about how fees can impact the value of an investment portfolio. Download Document. This booklet will help retirement plan sponsors better understand and evaluate their plan’s fees and expenses. While the focus is on fees and expenses involved with 401(k) plans, many of the principles discussed in the booklet also will have application to all types of retirement plans. Download Document. A form developed by banking, insurance and mutual fund trade groups to provide employers with a way to collect and compare investment fees and administrative costs of competing providers of plan services. This form was not developed by the DOL and was not designed to ensure compliance with the DOL’s regulations on service provider fee disclosure to plans or plan fee disclosure to 401(k) plan participants and beneficiaries. Download Document. To help reduce the likelihood of a Department of Labor (DOL) fiduciary investigation or audit and limit fiduciary exposure, plan sponsors should consider having written policies in place to comply with non-investment-related duties under the Employee Retirement Income Security Act (ERISA). Download Document. It’s hard to ignore the increasing number of lawsuits in which retirement plan participants are suing plan sponsors. Enlisting the help of a knowledgeable advisor and implementing a proactive fiduciary audit-oriented approach to plan governance and document retention may help you prevent or prepare for an audit. Download Document. This link to the EBSA website will provide access to a variety of documents, online tools, Model Notices and DOL Publications including Regulations & Guidance. Download Document. Joe Faucher explores an unmistakable trend in the world of employee benefit plan litigation that is underway, and that trend is decidedly in favor of plaintiffs. Download Document. Under ERISA, fiduciaries may be held personally liable for a breach of their responsibilities in the administration or handling of employee benefit plans. Under ERISA § 410, the plan cannot relieve you of this responsibility with indemnification language, however, it also specifically permits fiduciaries who have personal liability to have the plan purchase Fiduciary Liability Insurance. Covering yourself with Fiduciary Liability Insurance gives you a piece of mind that you are protected. Even better, you can bundle your ERISA bond and Fiduciary Liability Insurance to receive a discounted rate. Start saving between 10 to 20%. Just click on one of the links below to get a FREE quote or you can apply online now for immediate online issuance of your fiduciary liability insurance. For more information on Fiduciary Liability Insurance, please Contact Us. Are Investment Providers Finally Stepping Up To The Plate As Plan Fiduciaries? Investment providers have historically resisted characterization as retirement plan fiduciaries even when it was clear that their activities cast them in that role. To this end, investment contracts contained elaborate denials of fiduciary status. Recently, a counter trend has emerged which entails an apparent acknowledgement of fiduciary responsibility with respect to the selection of investment menus for 401(k) plans. This is certainly a welcome development. But is it a real change or merely a sophisticated attempt to limit liability? In this white paper, we will examine some of the new programs and attempt to identify their advantages and disadvantages. Download Document. ERISA Plans: What Is Your Fiduciary Responsibility? The liability due to failure to carry out your role as a fiduciary can be very harsh and result in multiple possible penalties, which may be imposed personally on the individual fiduciary and not just the employer. 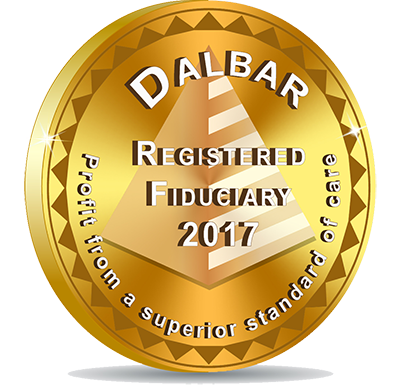 This document provides information on who is a fiduciary and what are their duties and responsibilities. Download Document. To meet their responsibilities as plan sponsors, employers need to understand some basic rules, specifically the Employee Retirement Income Security Act (ERISA). ERISA sets standards of conduct for those who manage an employee benefit plan and its assets (called fiduciaries). This publication provides an overview of the basic fiduciary responsibilities applicable to retirement plans under the law. Download Document. The Fiduciary Education Campaign, a compliance assistance initiative of the Employee Benefits Security Administration (EBSA), is designed to improve workers’ health and retirement security by educating employers and service providers about their fiduciary responsibilities under the Employee Retirement Income Security Act (ERISA). Download Document. Target date retirement funds (also called target date funds or TDFs) have become an increasingly popular investment option in 401(k) plans and similar employee-directed retirement plans. EBSA prepared the following general guidance to assist plan fiduciaries in selecting and monitoring TDFs and other investment options in 401(k) and similar participant-directed individual account plans. Download Document. Under ERISA, the plan sponsor is the person who establishes or maintains the plan. In a single-employer plan, the plan sponsor will be the employer; however, in the case of a multiemployer plan, the plan sponsor is generally the Board of Trustees. This whitepaper explores the unique issues of MEPs and the DOL’s Field Assistance Bulletin (FAB 2002-2) from 2002. Download Document. Regulating Advice Markets: Definition Of The Term “Fiduciary”, Conflicts Of Interest – Retirement Investment Advice. This 395-page document details the DOL’s Fiduciary Rule as originally enacted and as made partially-applicable on June 9, 2017. Download Document. In 2015 the Office of the Chief Accountant (OCA), Employee Benefits Security Administration (EBSA), U.S. Department of Labor (DOL), completed an assessment of the quality of audit work performed by independent qualified public accountants (IQPAs) with respect to financial statement audits of employee benefit plans covered under the Employee Retirement Income Security Act of 1974 (ERISA) for the 2011 filing year (plan year beginning in 2011). Download Document. This whitepaper discusses the distinctions between Plan and Settlor expenses and includes an easy to understand chart to help Plan Sponsors understand the differences between Plan and Settlor expenses. Download Document. This web link to the DOL provides 6 case studies from actual DOL Investigations and provides clarification and guidance that will facilitate both compliance and enforcement efforts in this area. Download Document. J.P. Morgan Asset Management’s second comprehensive survey of plan sponsors yields proprietary data and the resulting white paper reveals that although plan sponsors have a strong and growing sense of responsibility for helping employees achieve a financially secure retirement, several disconnects exist between the goals they identify for their defined contribution (DC) plans and how they evaluate success. The white paper also presents actions plan sponsors can take to help employees reach retirement with the income they will need. Download Document. This guide is intended to be used as a quick reference tool for certain basic reporting and disclosure requirements under ERISA. Download Document. This document contains a final regulation under the Employee Retirement Income Security Act of 1974 (ERISA) that requires the disclosure of certain plan and investment-related information, including fee and expense information, to participants and beneficiaries in participant-directed individual account plans (e.g., 401(k) plans). Download Document. The Delinquent Filer Voluntary Compliance Program (DFVCP) is designed to encourage voluntary compliance with the annual reporting requirements under the Employee Retirement Income Security Act (ERISA). The DFVCP gives delinquent plan administrators a way to avoid potentially higher civil penalty assessments by satisfying the program’s requirements and voluntarily paying a reduced penalty amount. Download Document. This Notice modifies the Delinquent Filer Voluntary Compliance Program (‘‘DFVC Program’’ or ‘‘Program’’) announced by the Department of Labor’s Pension and Welfare Benefits Administration in 1995. The DFVC Program is intended to encourage, through the assessment of reduced civil penalties, delinquent plan administrators to comply with their annual reporting obligations under Title I of the Employee Retirement Income Security Act of 1974, as amended (ERISA). Download Document. This document answers common questions about the Delinquent Filer Voluntary Compliance Program (‘‘DFVCP”). Download Document. This application form provides a recommended format for your Voluntary Fiduciary Correction Program (VFCP) application. Download Document. Use this checklist to ensure that you are submitting a complete Voluntary Fiduciary Correction Program (VFCP) application. Download Document. The class exemption provides relief from certain excise tax provisions of the Internal Revenue Code if the terms of the Program and exemption are met. Download Document. The VFC Program is designed to encourage the voluntary correction of fiduciary violations by permitting persons to avoid potential civil actions and civil penalties if they take steps to correct identified violations in a manner consistent with the Program. Download Document. This is a sample letter that a Plan Sponsor might receive from the EBSA after they have filed for relief under the VFCP. Download Document. Federal law requires employee benefit plans with 100 or more participants to have an audit as part of their obligation to file the Form 5500. This booklet will assist plan administrators in selecting an auditor and reviewing the audit work and report. Download Document. ERISA requires that fiduciaries of employee benefit plans administer and manage their plans prudently and in the interest of the plan’s participants and beneficiaries. In carrying out these responsibilities, plan fiduciaries often rely heavily on pension consultants and other professionals for help. Findings included in a report by the SEC released in May 2005, however, raise serious questions concerning whether some pension consultants are fully disclosing potential conflicts of interest that may affect the objectivity of the advice they are providing to their pension plan clients. Download Document. Business owners are responsible for ensuring that their 401(k) plans comply with Federal law and rely on other professionals to assist them with their plan duties. Selecting a service provider is one of the most important responsibilities of a plan sponsor. Download Document.